Today is one of the most amazing ladies in fandom's birthday! 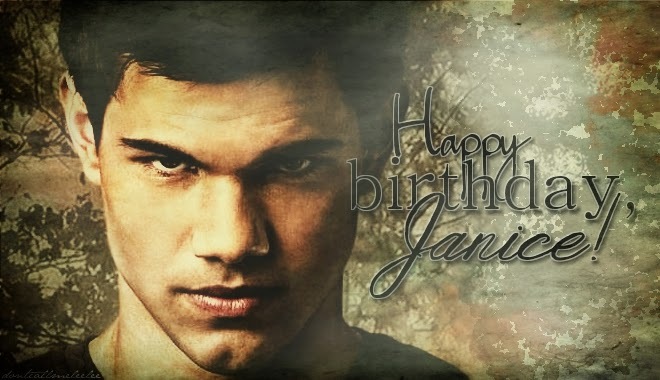 Janice, happy birthday!! I have worked alongside you for a couple of years now, and I always admired you - your persona and your work. Hard-worker, loyal, and talented. You inspired people with your art, and you certainly inspired me! Thank you for everything you did for the fandom! Thank you for everything you did for me! You're one of a kind, girl! Don't ever change! Don't ever stop doing what you love! Happy birthday, honey! Hope you have an amazing day! You deserve nohing but happiness and love in your life!! :) Here at PP we certainly love you! :) Enjoy your day! !